Free Arborists’ Workshops “Preparing Your Trees for Hurricane Season and Restoring Storm Damage Trees” The University of the Virgin Islands Cooperative Extension Service’s (UVI-CES) Agriculture and Natural Resources Program in partnership with the V.I. 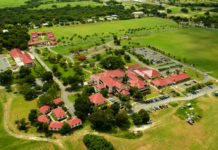 Department of Agriculture’s Forestry Division will hold arborist workshops on “Preparing Your Trees for Hurricane Season and Restoring Storm Damaged Trees.” The workshops will be held Tuesday, June 19, in Great Hall on the Albert A. Sheen Campus and Thursday, June 21, in the UVI-CES Training Room on the St. Thomas Campus. Both workshops will run from 9 a.m. to 4 p.m.
Extension programs and policies are consistent with federal and state laws and regulations on non-discrimination regarding race, color, national origin, religion, gender, gender preference, age, disability and political beliefs. Pesticide Applicator Safety and IPM Training for “Commercial and Private Applicator License” The University of the Virgin Islands Cooperative Extension Service (UVI-CES) encourages all interested individuals, especially those interested in applying for a pesticide applicator license, to attend training sessions on integrated pest management and pesticide safety. Trainings will be held from 9 a.m. to n4 p.m., at the UVI Albert A. Sheen Campus in the Research and Extension Center in Room 133, located on the east side of the campus. On Thursday, June 21, the topic for discussion will be on structural pests, and on Friday, June 22, the topic for discussion will be ornamental and turf pests. Examinations will be offered on Tuesday, June 26. The Pesticide Education Safety CORE program will be offered all day on Thursday, July 19; the Agriculture Plant Pest category will be presented on Tuesday, July 24. Both will be held on the Albert A. Sheen Campus. 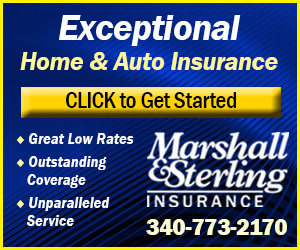 Federal law requires any person who applies or supervises the use of restricted use pesticides (RUPs) to be certified. Trainings are offered to teach applicators of Environmental Protection Agency (EPA) laws and regulations, applying RUPs properly and effectively, comprehending labels, calculating rates, introducing best pest management, and practicing safe pesticide use. For additional information or to register, contact Amy J. Dreves, Ph.D., UVI-CES pest management specialist, at 692-4045 or email [email protected]. 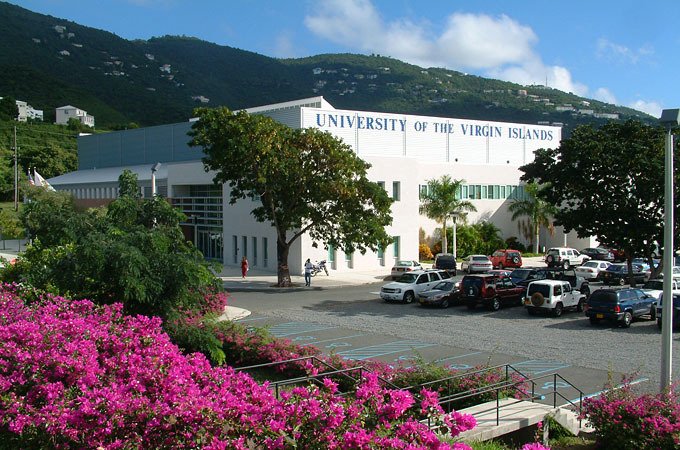 UVI Students Place First in Global Top 100 – Business Strategy Game University of the Virgin Islands (UVI) students of the Business Strategy class of spring 2018 achieved a first-place ranking in the Global Top 100. The students earned the top position on Global Top 100 ranking for their company’s Business Strategy Game (BSG) performance during the week of April 2 – 8. UVI Rewards Students for Innovation and Entrepreneurship University of the Virgin Islands Hackathon participants, Business Design Program participants, 13D competition competitors and UVIDEA club officers of both the Albert A. Sheen and St. Thomas Campuses were recognized at the first Annual Innovation and Entrepreneurship Gala Luncheon held on Saturday, May 12. This event celebrated the growing innovation and entrepreneurship ecosystem at UVI. The Hackathon, Business Design Program, and 13D competition students all received awards. New Member Appointed to UVI’s Board of Trustees A new member had been appointed to the University of the Virgin Islands’ (UVI) Board of Trustees. John A. Quelch, Ph.D., was appointed by Gov. Kenneth Mapp to fill the vacant position on the board. He has been appointed to join its 12-member body and will fill the vacancy left by former Trustee Carol Fulp. His appointment came into effect on April 4. Of the 32 undergraduate student entries on the St. Thomas Campus, Shantae Lewis from the College of Science and Mathematics emerged as the winner. Lewis’ poster was titled “DNA Extraction of Halophila Stipulacea Plants for Genetic Variability Around the Virgin Islands.” Halophila stipulacea is an invasive species of sea grass that is quickly spreading throughout the territory’s waters. It originates from the western Indian Ocean and is thought to have spread into the Mediterranean and Caribbean Seas in ship ballasts and by fragmentation caused by anchoring and other bottom disturbances. In her abstract, Lewis mentioned that the goal of the project is to determine the genetic variability of Halophila stipulacea and to use that information to help create an invasion history model. She conducted her research using samples from Magens Bay, John Brewers Bay and Lindbergh Bay on St. Thomas. UVI Professor Alice Stanford advised Lewis during her research. Students, Employees Urged to Sign Up for UVI’s Rave Emergency Notification System All UVI students and employees are urged to sign up for UVI’s Rave emergency notification system that is used to share critical information via text messages and e-mail. Participants simply add their cell phone numbers and e-mail addresses to the ‘Personal Information’ page in UVI’s BanWeb accounts. Those who have already added information to the system are encouraged to periodically check their details in case updates are needed. UVI will periodically issue Rave system test announcements.